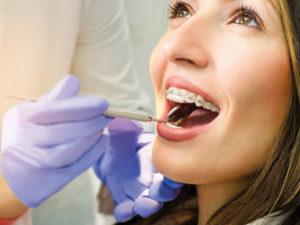 Orthodontics (also referred to as dentofacial orthopedics) is a specialized form of dentistry focusing on the diagnosis, prevention, and treatment of dental and facial abnormalities. An orthodontist is a dental specialist who has received two to three years of additional training and experience. All orthodontists are dentists first. Out of 100 dental school graduates, only 6 go on to become orthodontists. Your orthodontist is able to straighten teeth, correct misaligned jaw structure, and improve the function of your smile. What’s the Best Age to Visit the Orthodontist? If you want to improve the look and feel of your smile, then any age can be a great age to see the orthodontist. 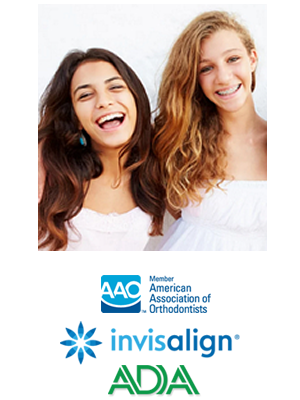 The American Association of Orthodontists recommends that children first visit an orthodontist around the age of 7; however, orthodontic treatment is not exclusive to children and teens, with about one in every five orthodontic patients being over the age of 21. Whether you’re considering treatment for yourself or for a child, any time is a good time to visit the orthodontist. Make sure to use toothpaste that contains fluoride, and ask your orthodontist or family dentist if you need a fluoride rinse. This will help prevent cavities! If you take out your retainer to eat, remember to keep it safe in its container so that it does not get lost or broken. Keep your retainer clean by brushing it gently with a toothbrush and toothpaste. You may also soak it in denture cleaner as instructed by your orthodontist. Do not put your retainer in boiling water or in the dishwasher. During your treatment, try to avoid foods with a lot of sugar (sugar increases the amount of bacteria that grows in your mouth, causing more plaque and possibly cavities). The amount of time spent in braces will vary depending on the individual patient, because every smile responds differently to treatment. Treatment times can take anywhere between 6 and 30 months, but most standard treatments take about 22 months. 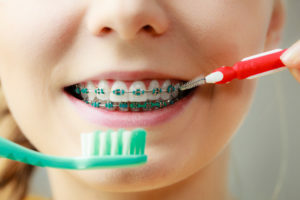 Braces do not often hurt though you may feel a small amount of discomfort for a couple days as your teeth, gums, cheeks, and mouth get used to your new braces. With braces, you should brush your teeth at least three times a day to keep your teeth, gums, and mouth healthy and clean. Brushing regularly will help remove any food that may be caught between the braces. You should also floss daily to get in between your braces where your brush isn’t able to reach. Your orthodontist can show you how to properly brush and floss once your braces are placed. Yes! In fact, it’s even more important that patients receiving orthodontic treatment visit their dentist regularly. With braces, food may be caught in places that your toothbrush can’t reach. This causes bacteria to build up that can lead to cavities, gingivitis, and gum disease. Your dentist will work closely with your orthodontist to make sure that your teeth stay clean and healthy while wearing braces. Playing an instrument or a contact sport may require some adjustment when you first get your braces, but wearing braces will not stop you from participating in any of your school activities. If you play a contact sport, it is recommended that you wear a mouth guard to protect your braces or appliance. Simply call our practice! Our front desk staff will be happy to help schedule your next appointment at your convenience. If you are a new patient or have been referred to our practice, please let us know and we will provide you with all of the information you need. We have found our visits to the office to be comforting and professional. The staff are always smiling, polite, and attentive to our needs. Dr. Daub takes time to inquire and explain procedures. We are looking forward to the finished product. I’m sure it will be a work of art! ~ Amy K.
Avoid Brushing After Every Single Meal!